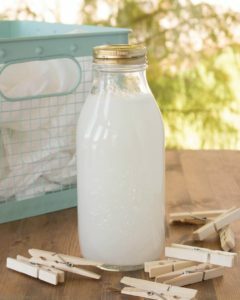 This easy tutorial for natural homemade laundry detergent makes 320 loads of non-toxic laundry detergent for $20.75 ($0.06 per load) and rates an A on the Environmental Working Group (EWG) Healthy Cleaning scale. It's a win-win for natural cleaning and fugal living. 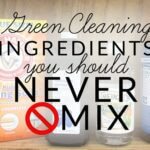 This post uses affiliate links, they don't cost you a thing but help us bring you natural cleaning tutorials. Read more in policies and disclosures. 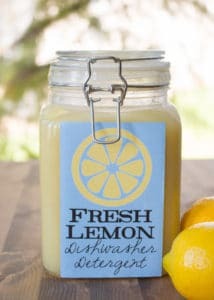 Homemade laundry detergent is often suggested as a way to save money, but I wanted to make my own laundry detergent for another reason -> to produce an effective all-natural detergent that eliminated dangerous chemicals and additives. 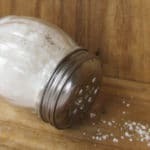 My goal was to create a detergent recipe that scored well on the Environmental Working Group (EWG) Healthy Cleaning scale and was still cost-effective. 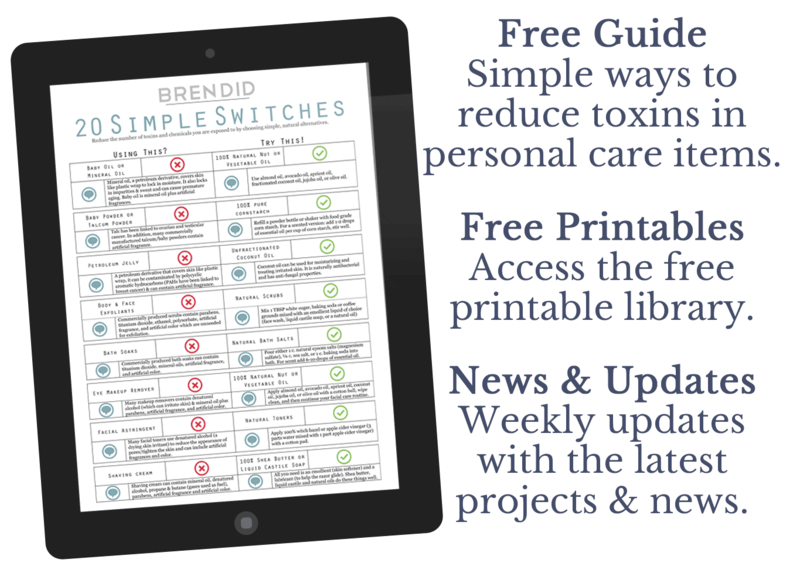 … I discovered the EWG Guide to Healthy Cleaning. It's a database that analyzes household cleaners and give them a grade (A-F) based on ingredients. Did you know that cleaning product manufacturers can use almost any ingredient and the US government doesn’t review the safety of products before they’re sold? SCARY! I began looking up all the cleaning/household products we used and learned that my trusty detergent had scored a D for problems such as cancer and respiratory effects. BIG FAT FAIL! I no longer felt good about using it for my family! Store-bought laundry detergents that score an A on the EWG scale are a bit pricey. They range from $14.00 for 42 loads ($0.33 a load) to $15.00 for 70 loads ($0.21 a load). Triple my original laundry detergent cost! 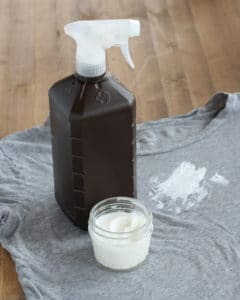 It was time to develop my own all-natural homemade laundry detergent! 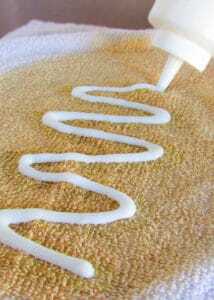 I started with a basic cost saving detergent recipe from Happy Money Saver and replaced the ingredients that scored high in toxicity. 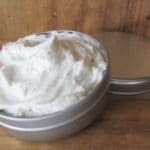 The original laundry detergent recipe made 18 lbs (288 oz.) for $20.27 or 504 loads at $0.04 per load. My natural homemade laundry detergent uses natural Castile soap instead of Fels-Naptha and eliminates Borax. Borax use is somewhat controversial in green circles; it is a naturally occurring mineral, but it is also toxic. Read more about the controversy at Crunchy Betty or MNN. The new all-natural recipe makes 11.43 lbs (183 oz.) for $20.75 or 320 loads at $0.06 per load! 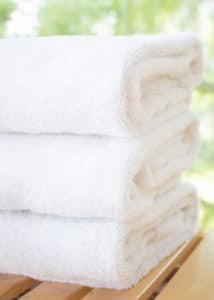 You can also add Epsom salt to the mix for a built-in laundry softener (the original recipe uses Purex Crystals). The Epsom salt version makes 13.19 lbs. (211 oz.) for $20.75 or 368 loads at $0.07 per load. 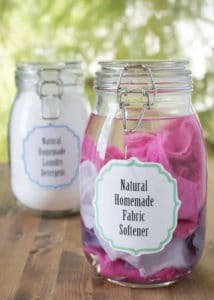 (Please note: I do not use the Epsom salt, instead I use Natural Homemade Fabric Softener in the dryer. I have been using this detergent for nearly 4 years and there is no looking back! The natural laundry detergent is significantly less expensive than the store-bought nontoxic detergents AND cheaper than my former poorly rated commercial detergent. 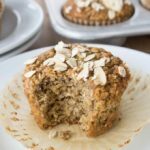 The recipe rates an “A” on the EWG scale so I feel good using it in our home. 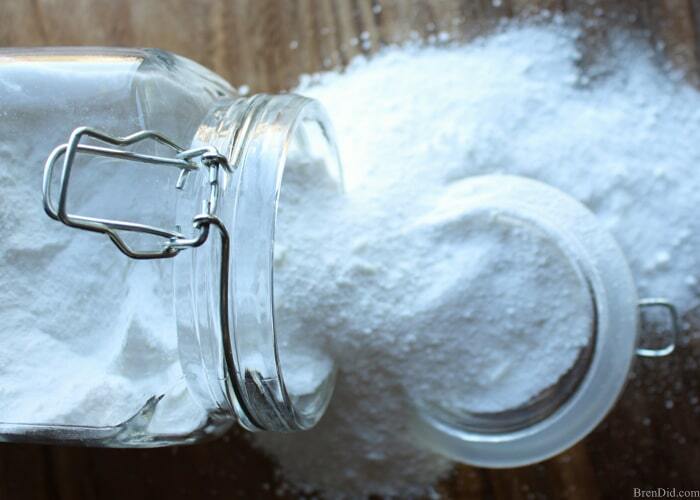 This homemade natural laundry detergent cleans great! I can honestly tell no difference between my recipe and store-bought laundry detergent. Another big plus, this laundry detergent is naturally low foaming.. This means it can be used in both standard and HE machines. 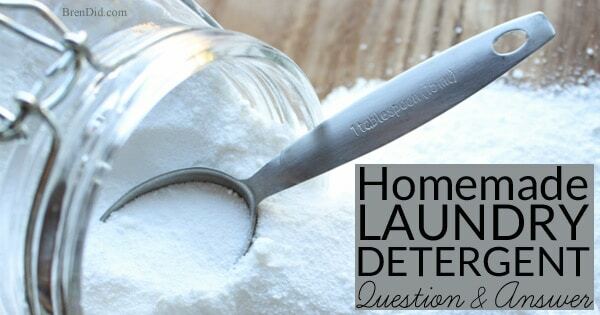 Does Homemade Laundry Detergent Really Work? Learn more about the ingredients and how they work. 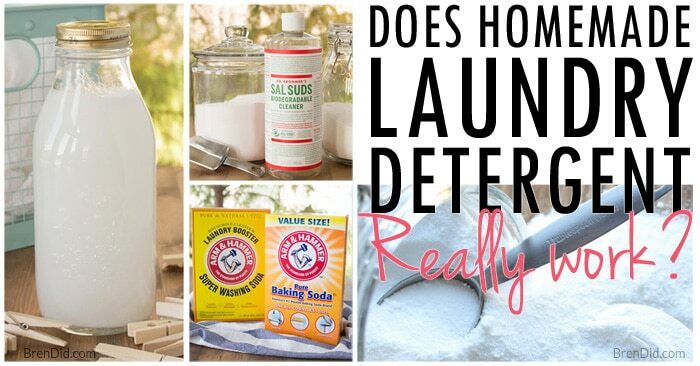 All-Natural Homemade Laundry Detergent Question and Answer – Get the answers to tons of common questions. 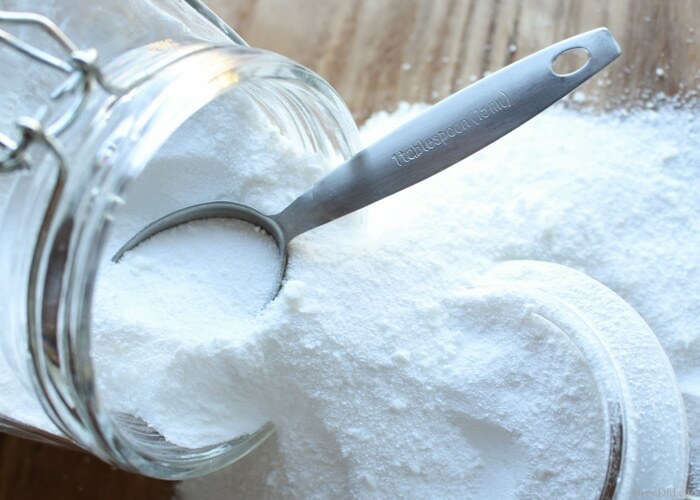 How to use the laundry detergent: Measure 1 or 2 Tablespoons onto the laundry per load. (There are no fillers in this detergent so it takes less than commercial laundry detergent.) It can be used in regular and HE machines. *If you want to make any substitutions to the recipe look them up in the EWG guides to make sure they rate well. Questions? 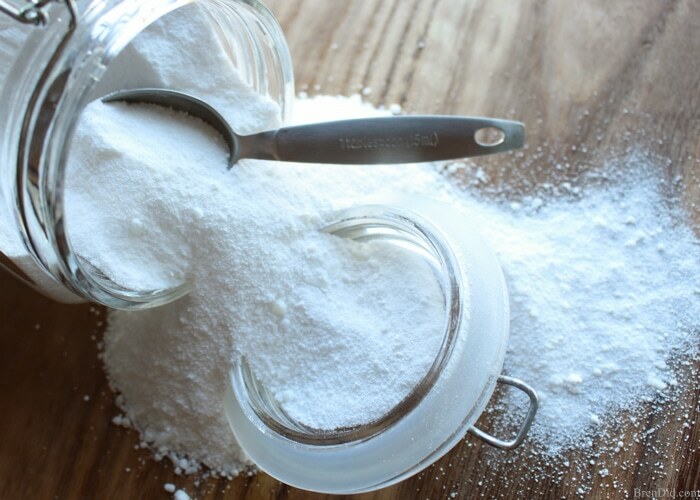 I get hundreds of questions about making All Natural Homemade Laundry Detergent! Read this detailed Question and Answer section for TONS of additional information. 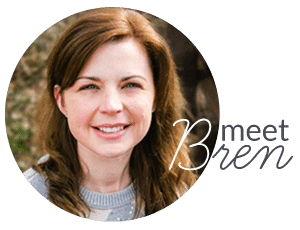 Check it out or read the comments below for quick answers to your most pressing questions! Like my naturally cleaning recipes? Sign up for my newsletter below and never miss a thing! 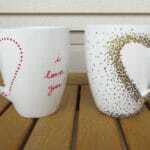 I love your site! Thanks for all that you share. I love that you’re not obsessed with vinegar and EOs in your ingredients (even if they’re good). I’m sensitive to fragrances, even natural ones, and it’s really difficult (and expensive) to find unscented products in store. I can’t find OxiClean on this side of the world. I think I’ve found three alternatives, and I would really appreciate it if you could help me choose one, or at least give insights since you’re better at these things and it can be overwhelming. I’m guessing Brand A is the most transparent with its ingredients. Brand B is the cheapest. Brand C is the more popular brand. Kate, I would pick the one closest to Oxiclean Baby or Oxiclean Free to make sure it will work in this detergent recipe. You can see the ingredients of each in the EWG guide here: Oxiclean Baby and Oxiclean Free. Hope this helps!